The Lab for Architectural Singularity is hosting a Parametric Modeling Workshop with Grasshopper! 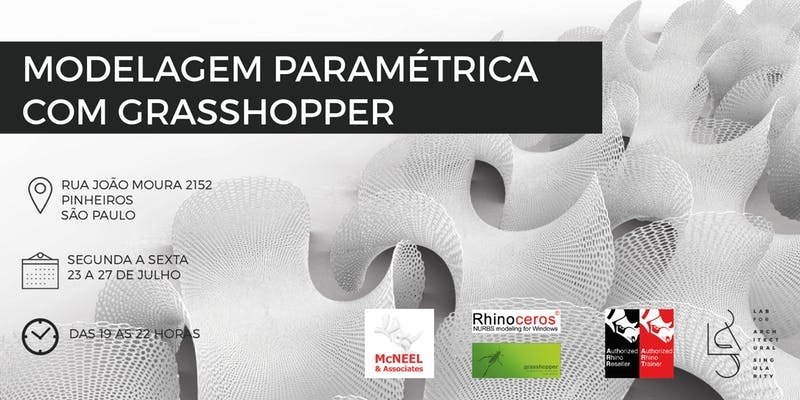 This workshop is an introductory course on the development, control, and feasibility of complex geometries through design parameters using Grasshopper, the most advanced generative modeling software for architecture and design. This workshop is for architects, designers, engineers and anyone interested in parametric modeling tools.